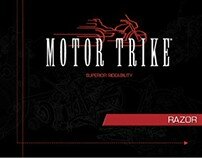 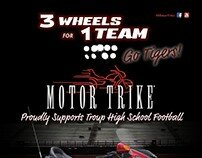 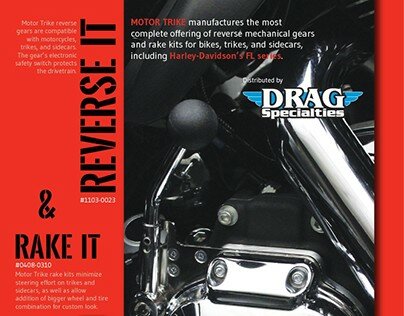 Upon beginning an internship at Motor Trike, Inc. in 2012, I was responsible for the art direction and front-facing website redesign of the company's retail website. 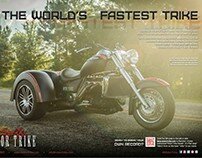 Working in conjunction with my marketing manager and IT supervisor, I applied our newly established branding aesthetics to Motor Trike's web home to create needed resources for both our B2B and B2C customers alike. 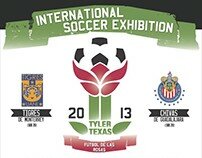 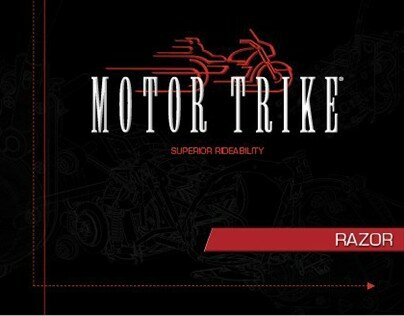 This brought together our distinguished branding theme. 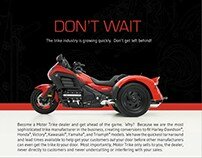 Soon after, I was responsible for transitioning the B2B-facing dealer site to incorporate the rebranding and maximize its function as a selling tool. 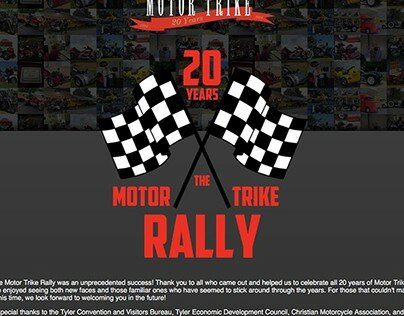 Responsiveness and adaptability are always top-of-mind for me with web design, simultaneously with user experience and function. 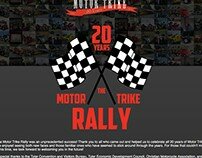 Even though currently undergoing even more improvements, all the pages below and more may be seen at motortrike.com. 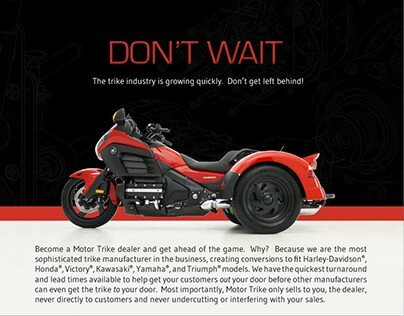 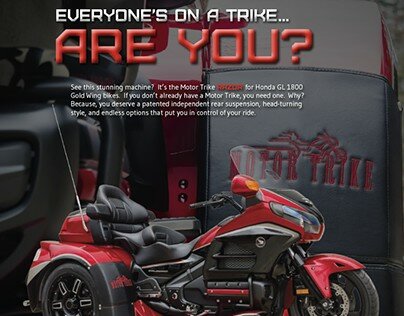 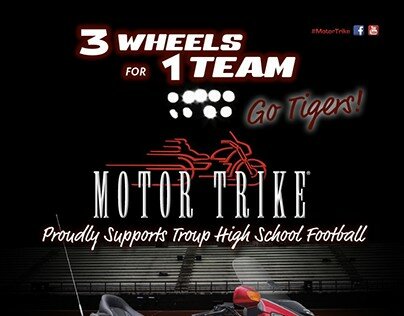 The website re-design for power sports company, Motor Trike.